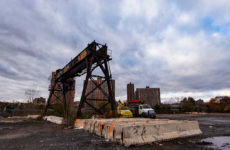 The suspension of garbage hauler Sanitation Salvage last month has created a trash problem for public housing developments across the South Bronx. Bronx Property Management department head Dennis Ovalle confirmed at a meeting of tenant presidents from NYCHA complexes across the area in early September that the Housing Authority relied on Sanitation Salvage to pick up some of its trash in the borough and is now scrambling to find relief after the vendor was suspended. After a Sanitation Salvage driver fatally hit two people on separate occasions with a garbage truck, spurring an an investigation into work code violations, the city’s Business Integrity Commission is keeping the Hunts Point-based trash vendor off the streets until an independent auditor assesses the situation. As a result, Sanitation Salvage-marked bins filled with trash are sitting in parking lots near the Betances Houses, Morrisania Air Rights Complex, St Mary’s Houses and other area developments. Residents say the rotting debris has created a stench, and attracted rats and flies inside both public apartments and the surrounding private homes. 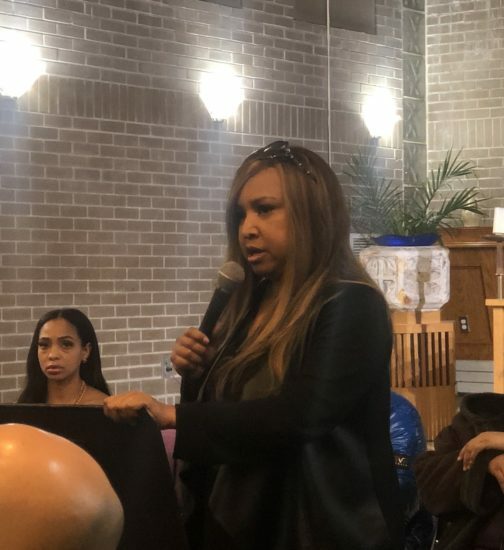 Ovalle said he doesn’t know when NYCHA will find a permanent replacement, but the agency is working with smaller vendors and the Department of Sanitation to pick up trash in the meantime. NYCHA has not responded to further requests for comment. Although, he didn’t get the chance to elaborate on what those issues really entailed. 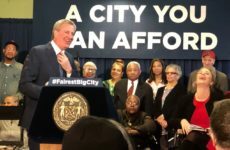 Instead he was greeted with expressions of frustration from resident leaders, unsatisfied with NYCHA’s slow response to what they consider to be a health emergency. Last week, NYCHA did acquire a new vendor to pick up trash at at least one housing complex, Morrisania Air Rights. 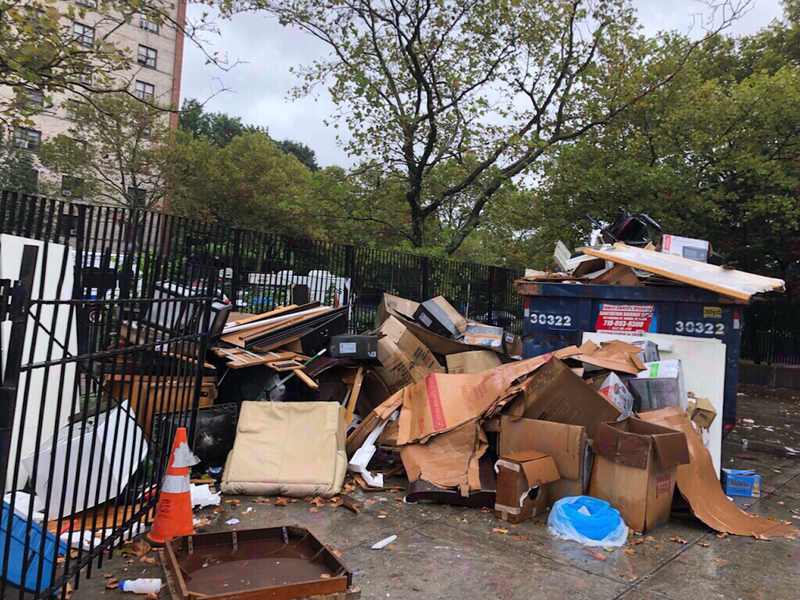 But Tenant President Chaney Yelverton said that while the vendor picks up new trash dumped in a new bin, it leaves old trash to pile up inside the Sanitation Salvage bin. The Betances Houses are dealing with a similar problem. The Department of Sanitation reportedly picked up trash there on Sept. 14. But residents say an overflowing blue bin has been sitting with the same trash inside it for over a month. SoBro Cafe, which sits next door to the bins, has served only a handful of customers since Sanitation Salvage lost its license, according to employee Carlos Andino. He said rats often linger at the door and flies cluster inside despite efforts to keep them out. Even regulars have stopped coming on days when the stench is particularly bad, Andino said. “It’s gotten to the point where rats are going into people’s cars,” Andino said. It’s not just public housing residents. Private homes across the street from the accumulating garbage are also dealing with the smell, and rats. Lenin Cancel, who rents an apartment across the street on 146th Street, said he has a hard time keeping rats and flies out of his home. He said the last two weeks have been particularly harrowing. “The smell… it’s just indescribable,” said Cancel, 46. Forbes said she’s unhappy with the way the agency is handling the lingering trash.